Snowmobile Massachusetts – a winter sport for young and old. Enjoy the thrill of the wind in your face as you fly down a snow-packed trail on a Winter day. 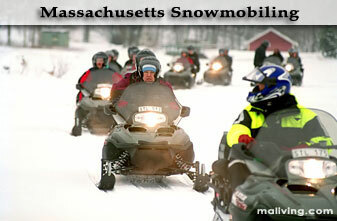 Massachusetts offers a wide variety of trail systems for snowmobiling fun. Browse our listings below. Ask us about visiting Massachusetts or share comments. To feature your MA business, contact us.